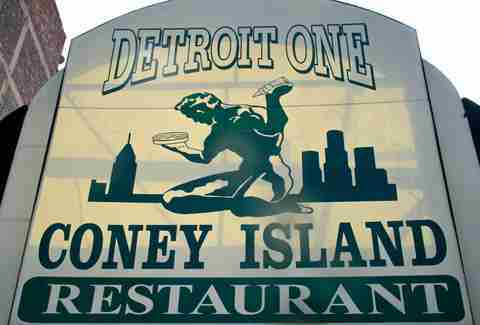 Detroit: where everything good in America came from. (Bourdain said it so it's gotta be true, right?) It definitely applies to the food and drink, like the sauce-topped coney dogs that could start a turf war among locals claiming their favorite coney spot is the best or the 100-deep classic drink menu from cocktail-haven Sugar House, one of the best cocktail bars in the country. These are the spots where locals (and Bourdain, probably) get their coney on. 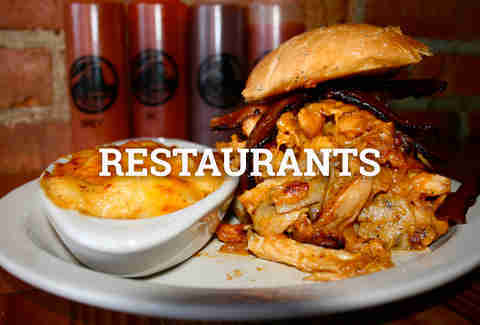 Plus, all the other restaurants and bars folks in the D head to once they wipe that all-meat chili sauce off their faces. If you want more places to eat and drink, head to Thrillist Detroit for hot openings and the rest of our longtime favorites. 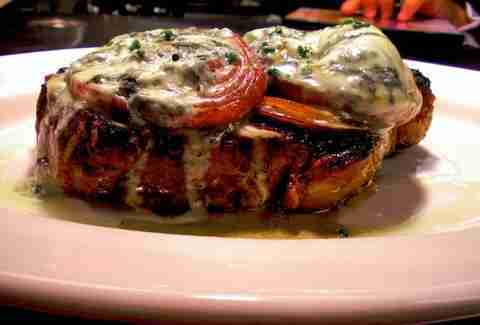 What you're getting: The pork-packed mainstay has thoroughly earned all the attention it gets. The Cooleys (who own the place) have done almost as fine a job boosting other businesses in Corktown as they have boosting the average local waist size. 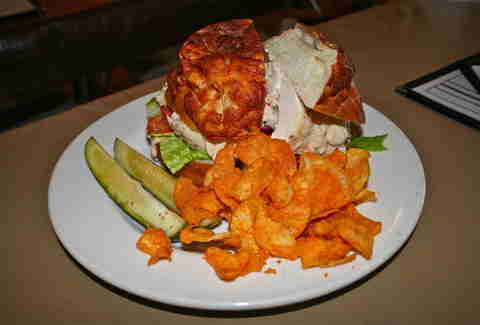 What you're getting: Consider the Hillbilly Bennie (poached eggs and oven-fried chicken), the coffee cake pancakes, the Butter Burgers, the Portland Special sandwich (with Cap’n Crunch-breaded chicken tenders!)... basically consider bringing friends so you can try more stuff. What you're getting: Stop staring hungrily at the TV while Symon creates something delicious on Iron Chef (or The Chew if you happen to be a retired hairdresser) and experience the real thing. Since 2008, his upscale steakhouse has been dishing up serious steaks and chops alongside less common creations like pork shank confit with sweet and sour cabbage. 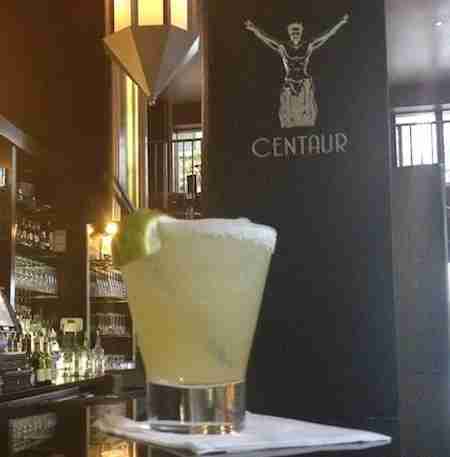 Oh, and they make a mean cocktail, too. What you're getting: Besides those sammies, Mudgie's friendly vibe could have something to do with the happy hour every weekday from 4-7pm, or the 90+ craft beers from local joints like B. Nektar’s and Atwater’s that help fuel said happy hour. 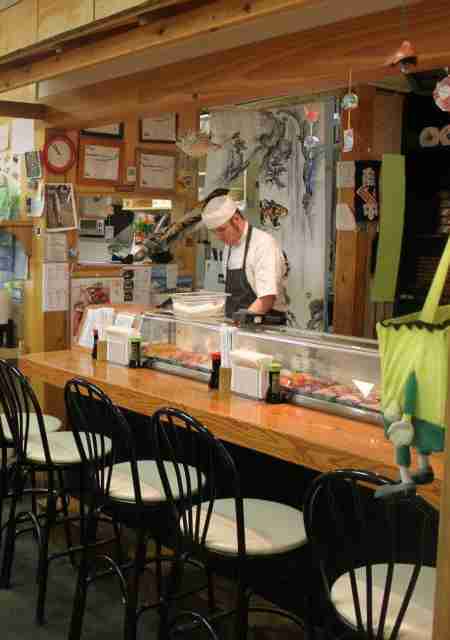 Why you're here: NF has the size and spirit of a traditional Japanese sushi bar. What you're getting: Tucked in the back of a Japanese grocery and adorned with only a handful of tables, they tend to eschew over-the-top creations for simply doing the classic stuff right, with impossibly fresh fish and an army of Japanese beer and sake, imports even Detroit can't object to. What you're getting: La Dolce Vita is equally capable of satisfying you with bottomless mimosas and shrimp Benedicts in the early hours or wowing your date with lobster-stuffed ravioli and house-made gnocchi in the evening. 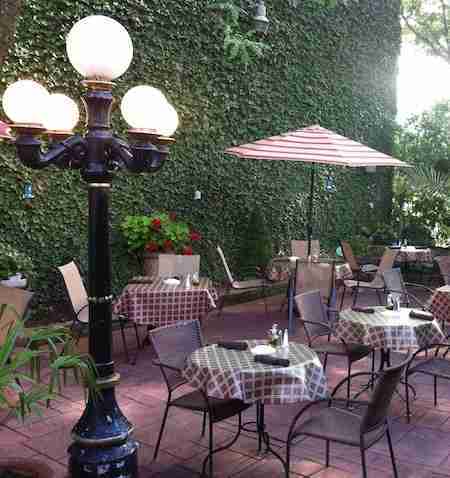 When the weather allows, don't settle for anything less than a spot on the patio as you fatten up to jazz music. 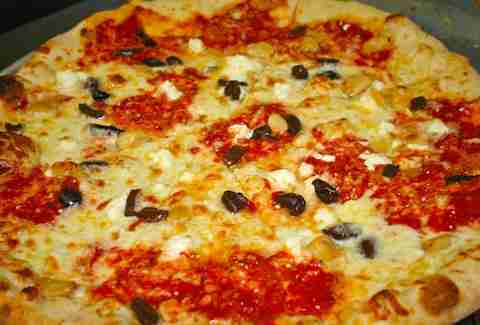 What you're getting: Yes, there is a lot of great pizza in Detroit, but Supino’s Eastern Market location stands out, bolstered by top-quality topping options like prosciutto, smoked turkey, and egg (though you still can't go wrong with pepperoni). 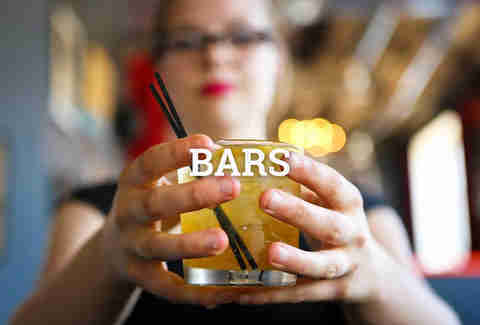 What you're getting: The two-story Art Deco cocktail lounge located in the heart of Detroit’s theatre and entertainment district has a team of expert bartenders concocting those seasonal 'tinis, so you should absolutely devote yourself to trying them all if you don't have too much going on for the rest of the year. 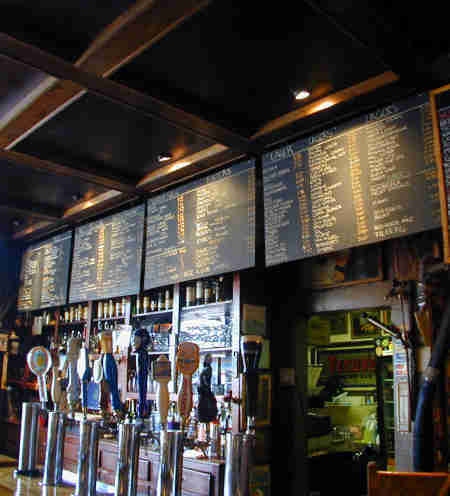 What you're getting: You'll be hard-pressed to find a more expansive suds selection than the lineup at Ye Olde Tap Room. And although it may be a little dark, a little dingy, and a little crowded (someone has to drink all those beers), a cold pint and a plate of pepperoni (yep) will alleviate those concerns quickly. 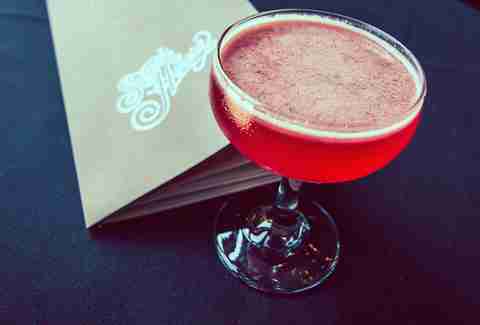 Why you're here: Sugar House is one of the best cocktail bars in the country. What you're getting: The dimly lit bar dresses its barmen in classic button-ups and ties, but even if you aren't dressed so formally they'll gladly pour you a meticulously crafted cocktail as mounted deer heads overlook them thirstily (kidding, they're dead). The menu changes seasonally (sometimes weekly), with the most recent one featuring collabs with Anthology Coffee, a bean shop located down the street. What you're getting: What once housed the Grand Trunk Railroad's ticket station is now home to 24 taps flowing with brews from near and far (though mostly near). You also have your pick of 50 (or more) bottled beers, typically with labels from the likes of Arcadia, Arbor Brewing, Bell’s, B. Nektar... and those are just the As and the Bs. 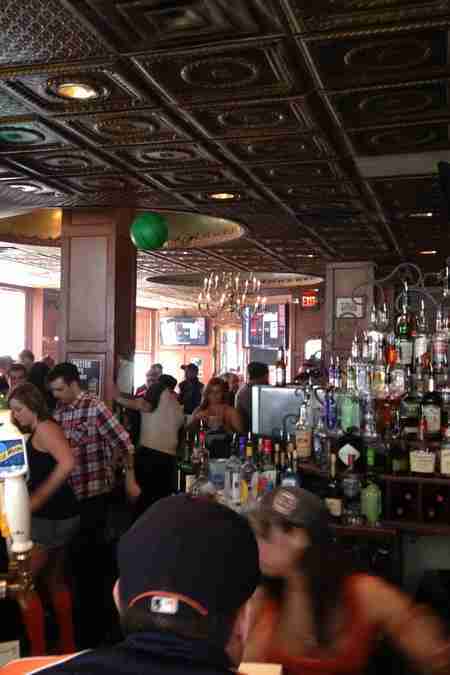 Why you're here: Where else can you enjoy a pitcher of beer beneath a tin ceiling in a library nook? What you're getting: Town Pump is exactly what a hotel-turned-laundromat-turned-go-go-bar-turned-tavern ought to be (so many just don't live up to expectations, ya know?). It has the kind of confident comfort that the ivy-covered facade suggests, and the only hard part about getting the $7 burger-and-a-beer lunch special is figuring out which of the 18 brews to take down. Why you're here: The food and beer menu are well-matched in their elevated style. 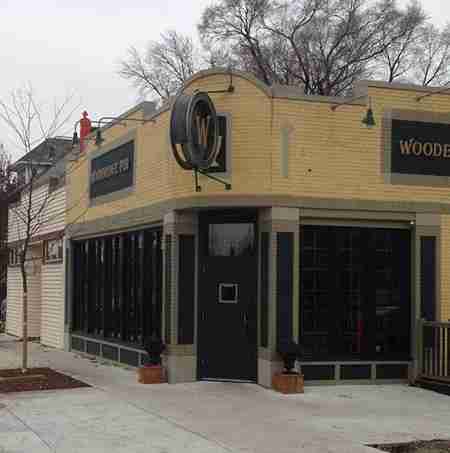 What you're getting: Woodbridge keeps a well-curated lineup of 80 brews on hand to accompany its locally sourced menu of sophisticated bar fare (like a Michelada burger topped with a fried egg and avocado cream on brioche). As a result it's a go-to for Midtowners, Wayne Staters, and anyone looking to enjoy a good brew with a little class. 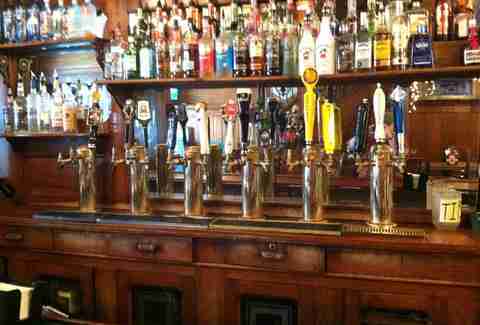 Why you're here: European brews at "Detroit’s oldest saloon"
What you're getting: Jacoby’s local legend status is well-earned. Since 1904 they’ve been pouring the kind of German and Belgian beers that Germans and Belgians actually drink, along with authentic schnitzels and other stomach-fortifying goodness. 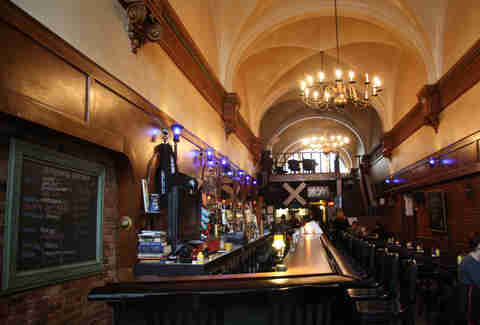 It’s a warm, cozy spot to nurse a beer before/after a show at St. Andrew’s Hall, or pretty much any other time. 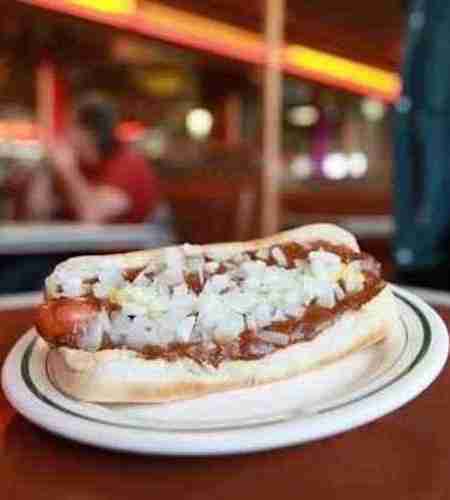 Why you're here: It's the oldest coney chain in the state. What you're getting: You’ll find them in the city, in the suburbs, at the fair, and even at Detroit Metro Airport (eat before you fly at your own risk). Despite the ubiquity, they continue to execute their coneys at a high level and hold their own as a top dog (do we dare? Yes we do.) 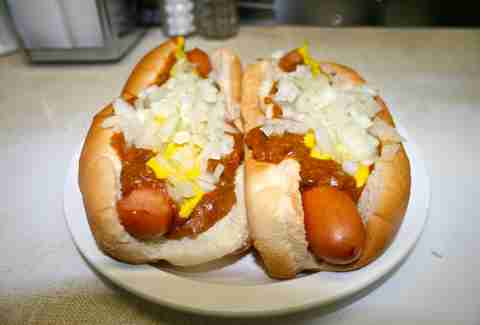 in the ongoing coney competition. 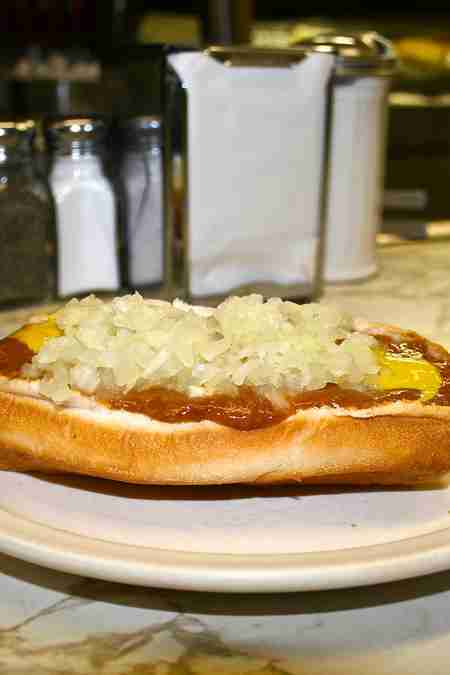 Why you're here: This is the purists' coney. What you're getting: Duly's flies a little under the radar relative to some more-heralded competition, but their coneys are damn near done to perfection -- with sweet onions, spicy chili, and a steamy bun. 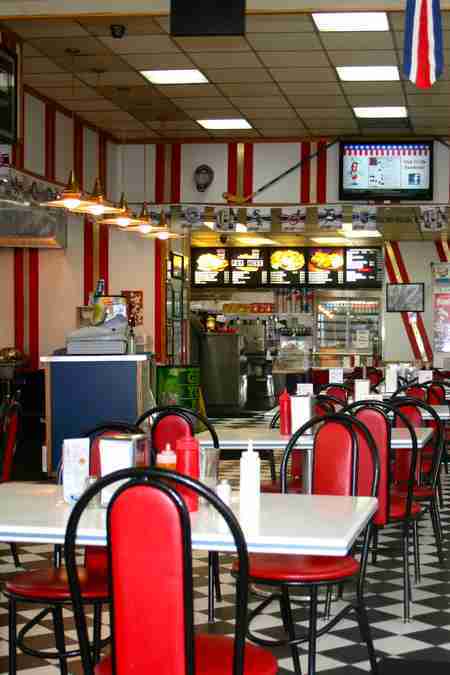 With just one row of stools at the old-timey lunch counter, all there is to do at Duly’s is enjoy your coney, another coney, and the company. Why you're here: It's open 24/7, so it's a critical stop when you're in need of a late-night coney fix. What you're getting: It's an iconic spot with an iconic storefront, and a solid lineup of authentic coneys. Bonus: if you order 20 or more at a time, they’re just 95 cents a piece. Why you're here: Can you get more Detroit than where the folks from the Ford Rouge Plant get their lunch coneys? What you're getting: There’s a lot to love about Joe’s Top Dog, where there’s a full bar, an open kitchen, damn solid coneys (particularly on 99-cent coney Wednesdays! ), and some of the friendliest people to ever serve a coney. 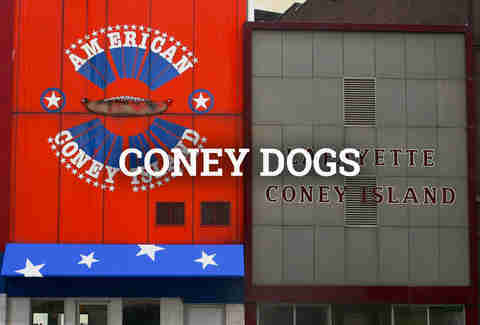 Why you're here: There's no doubt, American makes a terrific coney dog. You know it, we know it, the world knows it. What you're getting: Open 24 hours, American Coney Island has been family owned and operated for 87 years. Get your coneys, grab a beer, and even think about grabbing your own Coney Kit (rolls, onion, chili sauce, and, of course, 12 Dearborn hot dogs) so you can enjoy some of those bad boys at home. 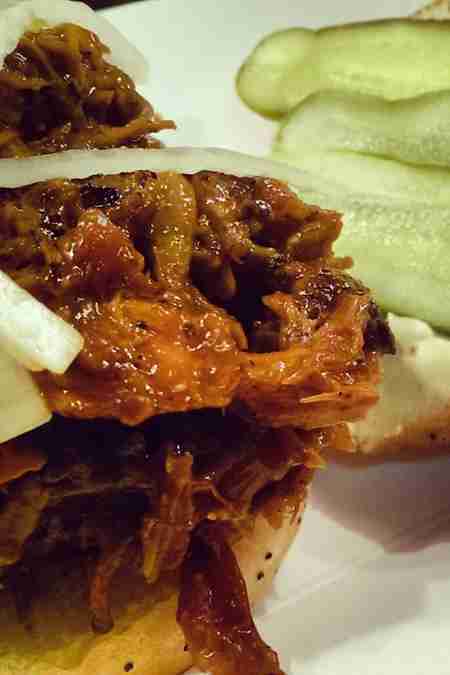 Why you're here: Lafayette is simply the best original coney there is. What you're getting: When you eat at Lafayette, you join the ranks of Eminem, Kid Rock, Henrik Zetterberg, Nick Lidstrom, Drew Barrymore, and so many more, who’ve all downed one, or two, or 10 award-winning coneys here (not to say they haven’t also ventured next door). Maybe it’s the diner-like atmosphere, maybe it’s the beefier chili or the Spanish onions used to top it all off... it doesn’t really matter. These coneys are the best. 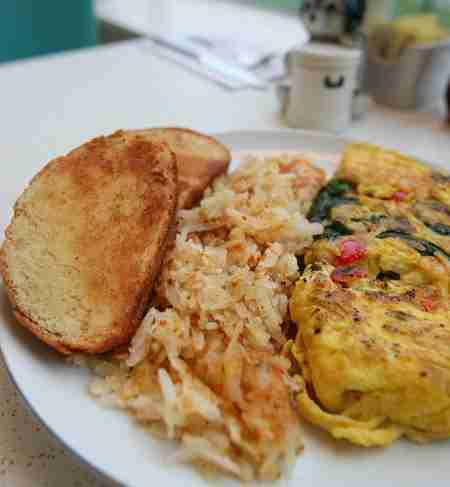 Looking for more places to eat and drink in Detroit? 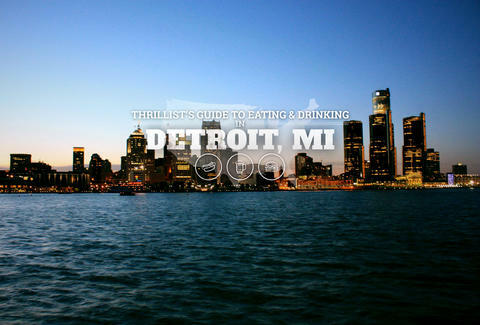 Check out the rest of our guides to the Motor City or sign up for our daily email.